Leela's big journey to try to go to premier division of TCEC, has started! 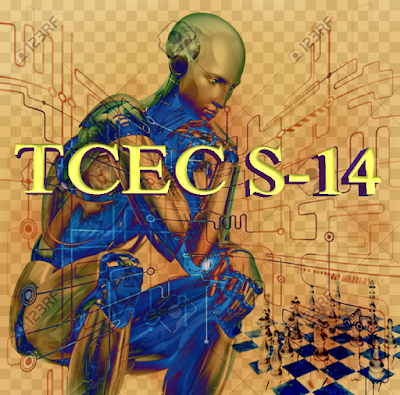 TCEC season 14 is running for the last couple of weeks and Leela has participated in 3rd division of it, finishing in the top position easily and now participates in the 2nd division trying to promote to 1st division. Division 3 consisted of 8 strong engines but they were no match for Leela, as she along with Komodo MTCS version, promoted to next division 2 easily. Time control is for both divisions is 30 minutes + 10 seconds per move. Leela in 3rd division participated with Lc0 TP("Trade Penalty", i.e it gives a penalty to every early trades making Leela play stronger as results showed) binary and 11248 net. But in the 2nd division Leela participates with the newer Lc0-RC2 binary version that has some new innovations(see this post) inspired from the new release of Deepmind's paper for AlphaZero and again the 11248 net from the old test10. Thankfully test30 is getting stronger and soon will probably overtake test10 nets. Leela had a strong performance in this division and finished easily in 1st position and now she has to pass division 2 and then division 1 also to promote to premier division in which she belongs considering her performance in most tournaments, games and tests we see, as they all indicate Leela is a top 4 engine, along with Stockfish(the clear leader) and almost in the level of Komodo and Houdini. But divisions 2 and 1 are hard and only 2 engines out of 8 promote and with only 28 games for each engine to be played, means anything can happen and the probability for Leela not to promote(to div1 or to divP), not to be that small so anything can happen. Standings of 3rd division. Leela and Komodo MCTS promoted to division 2. You can watch the games HERE! Yes, anything can happen as Leela's current blind spots come out with strong & weaker engines alike, so she can easily have a bad trim & not promote - makes me nervous. All the best to Leela !